Have you ever thought on Bungee Jumping? 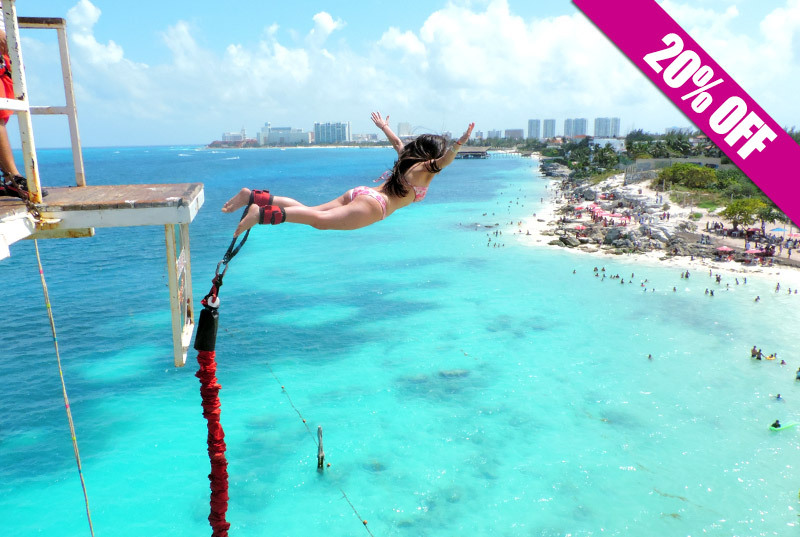 The time has come, do it in the only Bungee Jump in Cancun and Riviera Maya. 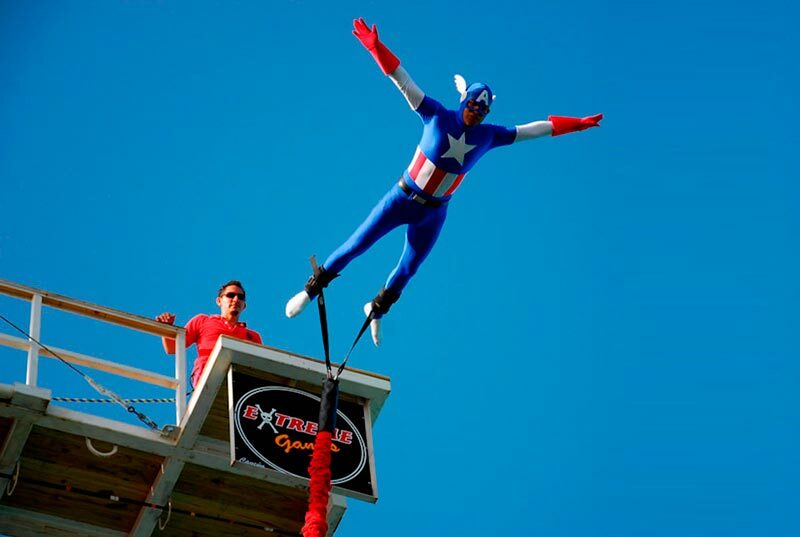 Bungee Jumping Cancun is one of the safest, fun and extreme activities in town. No matter how old are you, if you like strong emotions and new experiences, then this is for you. Dare yourself and enjoy the best adventure activity in Cancun! 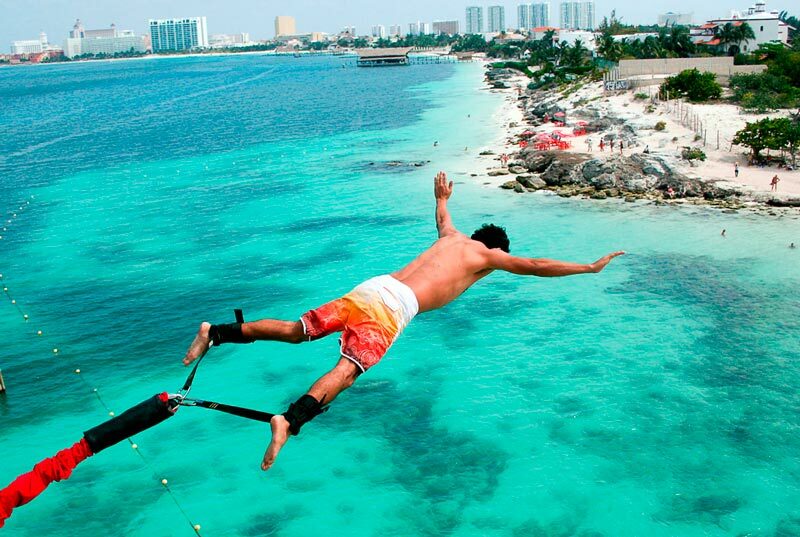 Bungee Jump from a 25 m. (80 ft.) height platform to the beautiful Cancun's blue sea. Pump up your adrenaline dipping slightly in the water after free falling. Professional orientation from a certified instructor is offered prior to your jump. A personalized certificate of completion is given to every brave jumper. 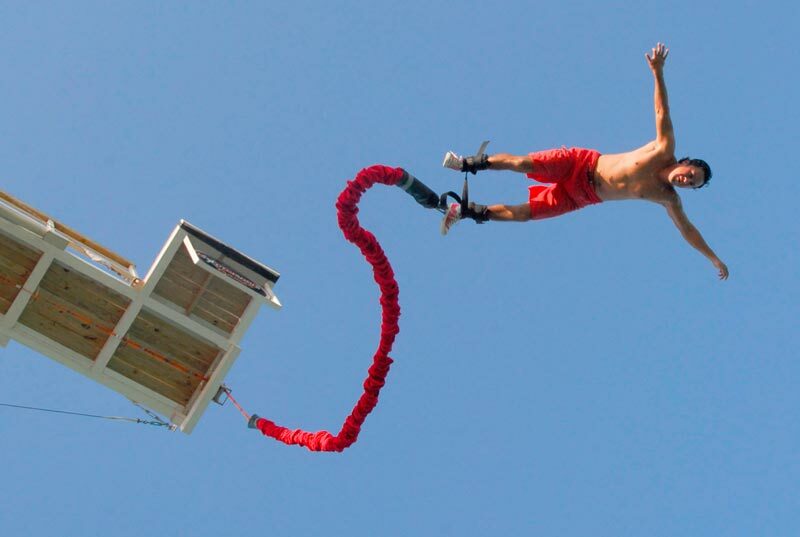 Prove your courage on Bungee Jumping Cancun. Book now and give a kiss to the Caribbean Sea! Acknowledgment of your courage (Dated and personalized diploma of your Bungee Jump). Photo and video (Optional with extra price). Maximum weight of 125 Kg. Signing of responsive form is required before bungee jumping. In case of kids, parents should sign instead.